As soon as I have played round 1 the players start to insults each others, including their own team members as well as the enemy team and it’s players. That goes on for the whole game of 45 minutes nearly nonstop. And around the middle of the game quickly after team swap someone from my team says that he is leaving so we could surrender. We didn’t even talk about surrendering and didn’t surrender after he left. It wasn’t that players first time leaving the game as he got maximum ban tier cooldown of 7 days for leaving before the game was finished. Other tiers are 30 minutes, 2 hours and 24 hours, more about that can be found here. It’s just no longer fun playing a game where everyone keeps constantly insulting others, abandoning their team by leaving before game is finished and other minor annoyances. But I guess that’s “just the Internet” so what can you do really? Nothing. So should I just drop gaming fully and do nothing? I am open to ideas, please add me on Steam and suggest me games with more mature player base who knows some manners and acts civil. I wonder what ping means.. If your ping bar icon is red (250+ ms) that means you will most likely to have moderate to high lags in the game. You are also free to leave the lobby if the ping doesn’t suit you. He accused me of lag switch but.. If your ping is stable how is it switching? In Dead by Daylight which has been peer to peer game from release date to somewhere summer 2019 the killer acts as host and can lag on purpose to make a hard time for survivors to navigate the map without running into walls or just limit network connection to the clients to stop them from moving completly. On top of whining at me for his own laggy connection he ragequit as soon as I downed him for the first time – less than two minutes into the game. Other players had OK ping and didn’t complain, or lag in-game. No idea why his ping was that high, according to his Steam profile game review he speaks Turkish. Didn’t check his ping or country so can’t be sure. As for my connection during that game I had 50 Mbps upload speed which is more than enough for Turkey clients/survivors connecting to my game server. Tried to play PUBG after a very long break but only managed to play it for 2 games because on my second death I wanted to see how the person who killed me changed their position so I wouldn’t die to same tactic again and clicked on death cam.. Then the game just froze. I tried alt+F4 out but it wouldn’t close the game. I tried opening task manager only to notice that the game would keep itself on top hiding all other windows behind it. 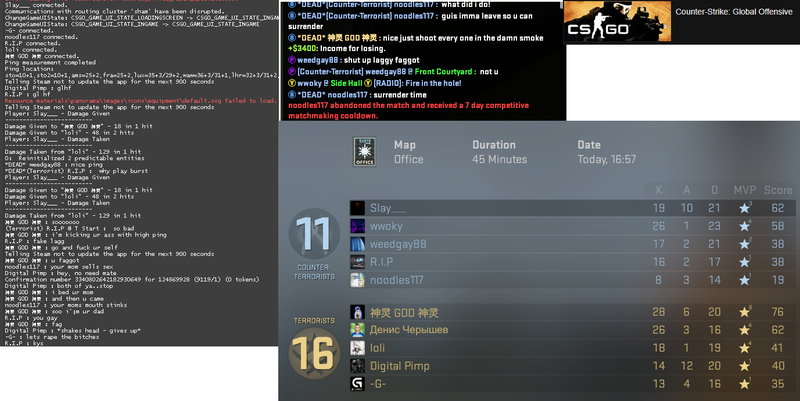 So I couldn’t even close the game using task manager. Then I noticed that I could interact with the windows behind the game meaning the game wasn’t the focused window eventhough it was on top of everything. So I asked Google how to close a process just by using the executable name as I couldn’t grab the process ID. And that worked, I could use Windows key to open Windows toolbar, search for cmd.exe, open it and then type into the window all while the game was on top and in full screen mode. Here is the result of that and the command used in case someone gets into similar situation with this game or some other game/software freezing on top of all windows. Well here we go again, Dead by Daylight player whine comment on my Steam profile. First, he commented on the wrong profile.. Nearly an hour after we had played together. And then he doesn’t even know about the biggest bug happening right now where lots of people (including me) have had their game freeze during loading screen (more about that here). And the list goes on.. 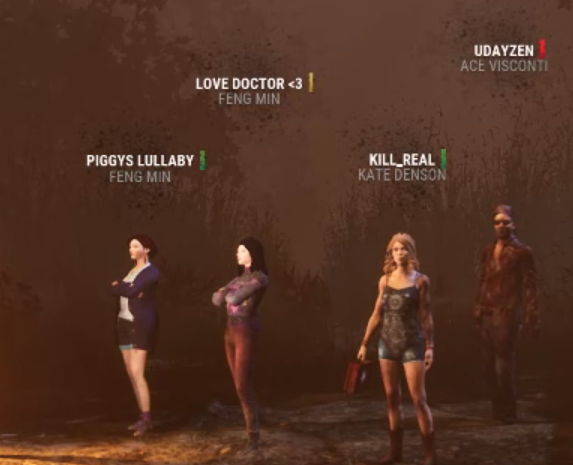 I was the killer in that game, where he was playing in a full SWF team with his mates..
His Steam profile for reference: Juu. Alcohol and Dead by Daylight doesn’t mix well, remember that kids! Tried to help him direct his hatred against the intended target but he just deleted my comment and ignored it. Didn’t delete the comment from my profile either. As long as you are joking you are allowed to insult others? Got this player on Rocket League versus me who kept writing stuff which he thought would be offensive and he tried to get a reaction out of me. But the only reaction he got was a report from me.